Attention green fans, attention! 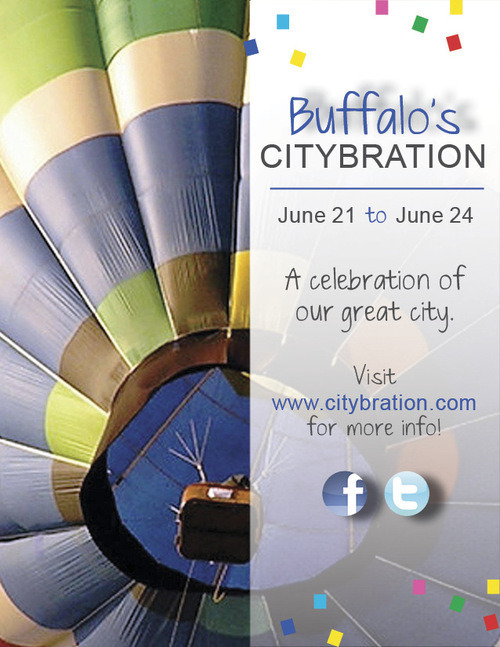 This year, our fabulous #GreenTeam will be attending The Buffalo Citybration Annual Festival. The festival starts this Thursday, June 21 and will end on Sunday, June 24. This four-day “party with a purpose” is a fun way to showcases Buffalo’s assets, highlight opportunity and celebrate the city’s many successes to help keep our best and brightest here, to bring back those who have left and to attract entrepreneurs and professionals to help grow our community and our economy. This year's festival is all about our beautiful city's spectacular waterfront. Hot air balloon rides, a sunset reception, baseball games, a scavenger hunt, a floating cocktail party, a Canal Side Festival, tours, and much more await this year's Citybration attendees. First held in 1907, Buffalo Old Home Week was resurrected 99 years later in 2006. Renamed Buffalo Citybration, the festival is now in its seventh successful year. For more information, and a full schedule of events, visit www.citybration.com.